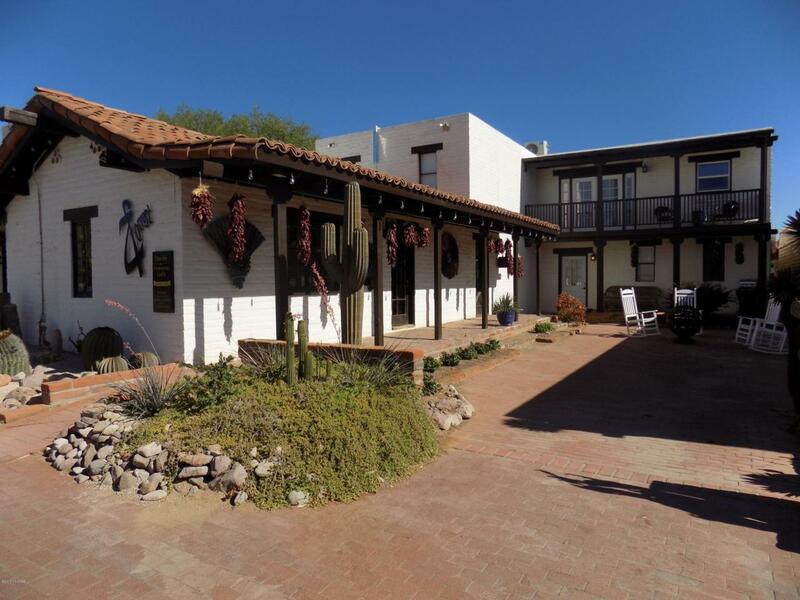 Beautifully restored retail/residential building in the heart of historic Tubac, AZ. This property has been carefully upgraded to provide approximately 2200 square feet of retail space downstairs which has been divided into a number of different gallery/show rooms with upgraded lighting. In addition, there is a beautiful approximately 800 square foot apartment with small efficiency kitchen featuring hand made mesquite counter tops and cabinets with inlaid turquoise. Upstairs is another approximately 1200 square feet of living space with two bedrooms, a living room and den plus a wonderful kitchen with all new appliances. The living room/ dining room of the upstairs living space has a balcony which affords great views of the town, Tubac Road, as well as the surrounding mountain ranges. Listing provided courtesy of Russ Lyon Sotheby's International Realty. Listing information © 2019 MLS of Southern Arizona.